Looking for a Used Countryman in your area? CarGurus has 5,718 nationwide Countryman listings starting at $3,866. 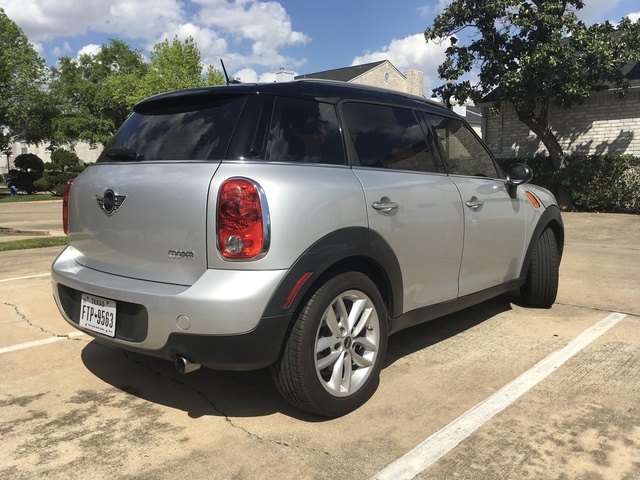 The 2013 MINI Countryman proves that you can put a lot of power and performance in a small package, especially with the addition of the John Cooper Works trim level added to the lineup. The Countryman JCW is the first MINI to come standard with a 6-speed automatic transmission, but it still offers the 6-speed manual as an option. The minimalist attitude for which MINI stands applies only to its size and the amount of fuel you'll have to buy driving one. MINIs continue to be some of the most fuel-efficient high-performance compact vehicles you can buy. Whether you choose the Countryman, Countryman S, Countryman S ALL4 or the turbocharged Countryman JCW, you'll get a lot of power in a small yet stylish and comfortable package. All 2013 MINI Countrymen feature a 1.6-liter inline 4-cylinder aluminum alloy engine. The base Countryman produces 121 hp and 114 lb-ft of torque. With the 6-speed manual, it will take you from 0 to 60 in 8.9 seconds. Its fuel economy is impressive at an EPA-estimated 27 mpg city/35 highway. Next up is the Countryman S, which features the same inline 4-cylinder, but some tuning helps it produce 181 hp and 177 lb-ft of torque. This quicker version of the Countryman will get from 0-60 in 7.0 seconds. Even with the added power, its fuel economy is still impressive at an EPA-estimated 26/32. The Countryman S ALL4 produces the same horsepower and torque as the Countryman S, but the addition of all-wheel-drive brings its 0-60 time to 7.3 seconds and fuel economy to 25/31. All these trim levels come standard with a 6-speed manual transmission, but offer an optional automatic as well. The Countryman JCW's high-performance upgrades include a tuned 1.6-liter inline 4-cylinder engine with twin scroll turbochargers. This unassuming 4-cylinder produces 208 hp and 192 lb-ft of torque and has an Overboost option that boosts torque to 207 lb-ft. You also do not have to give up fuel efficiency for all that extra power, as the Countryman JCW still gets an EPA-estimated 25/33. The Countryman JCW comes standard with a 6-speed automatic transmission, but for those that truly want the sports-car feel, this vehicle offers a 6-speed manual transmission. The ride and handling of the 2013 MINI Countryman complement the power under the hood. All MINI Countryman trim levels are equipped with MacPherson front struts, an aluminum alloy multi-link rear suspension and front and rear anti-roll bars. They all feature Dynamic Traction Control (DTC), with the Countryman S and S ALL4 having Electronic Differential Lock Control as well, with this feature optional for the Countryman Base trim. Combine the traction control and differential lock control with standard 17-inch wheels with 205/55/17 tires, and you have a vehicle that can not only handle curves, but also provide a very comfortable ride for a vehicle its size. The Countryman JCW is available with an optional sport suspension upgrade featuring stiffer front and rear stabilizer bars. It also comes standard with 17-inch wheels with 205/45/17 tires to handle the sportier suspension package. Adding to its comfortable ride are ample legroom and 41.3 cubic feet of cargo space. All 4 seats fold flat to accommodate any oversize items you many need to carry. The 2013 MINI Countryman Base, S and S ALL4 all come standard with a leatherette interior or an optional cloth interior, which the Countryman JCW has as a standard feature. The interior remains roomier than those of the smaller MINI models, allowing plenty of room for those over 6 feet tall in front or back. The sporty interior matches the exterior, but unfortunately, the gauge and dash design is more for looks than functional, as the gauge size and grouping make them feel somewhat cramped. With the rear seats down, you'll have over 40 cubic feet of cargo space. When you add passengers to the back seat, it drops to a little over 13 cubic feet. However, the MINI Countryman has a unique pull-up trunk partition to assure that rear passengers and cargo do not mix. The 2013 Countryman JCW's sporty cloth interior comes in colors that match the unique exterior color combinations available. It will provide the same amount of interior space and comfort as the regular MINI Countryman, but have a bit more racing feel. All models feature the capability to connect your iPod or other digital music device as well as satellite radio. All models also feature a climate-controlled glove compartment. The 2013 MINI Countryman adds all the safety features needed given its sports-car amenities. All trim levels feature dynamic steering and traction control. All-wheel drive is standard for the Countryman S ALL4 and available for all other trim levels. For added safety all trim levels feature large disc antilock brakes, run-flat tires with pressure monitors and an engine immobilizer if the vehicle's crash sensor system detects it has been in an accident. These combined with a unique breakaway engine feature provide amazing safety for a compact car. Inside you'll find a 7-airbag curtain safety system that provides protection in an accident for all passengers. As the model has not changed for 2013, expect the Countryman to maintain the 2012's Insurance Institute for Highway Safety rating of Good. What's your take on the 2013 MINI Countryman? 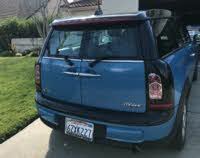 Teresa I have a 2013 All4 Countryman S and I love it more and more! I moved to Bend, OR, a year ago and this year the snowfall has been amazing, making the roads very icy and slick. But my little Maxine sticks like velcro to the road and gets through it all with impressive power and traction. The absolute best feature is the traction control so that when I hit ice, I don't slide. It's such a safety feature that every car should have it. I can't say enough good things about this model. I put a roof rack up top so all my toys are easily carried via kayak rack, bike rack and a pod for winter toys. I had downsized from a Ford Explorer and don't miss the space at all. Get a AWD Sport, it's so worth the extra cost in the long run for going through multiple terrains and weather conditions. Teresa Oh, I did put on Winter Pirelli run flats for November - May as I go up to Mt. Bachelor for the season. Big difference! I then change out to the standard issue run flats for spring/summer conditions. Have you driven a 2013 MINI Countryman? where is the battery located? 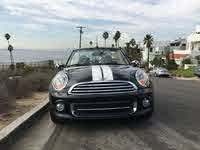 Can The Mini Dealer Put In A Harman Kardon Stereo System After Market?